Disclosure: I support Elizabeth Warren but this article is not sanctioned by the Warren Campaign–it is a personal opinion of a supporter. The 2012 election cycle has begun, and with it, the search for competent representation to send to Washington. Across the country, politicians have begun to make the case that they would most effectively represent their constituents. 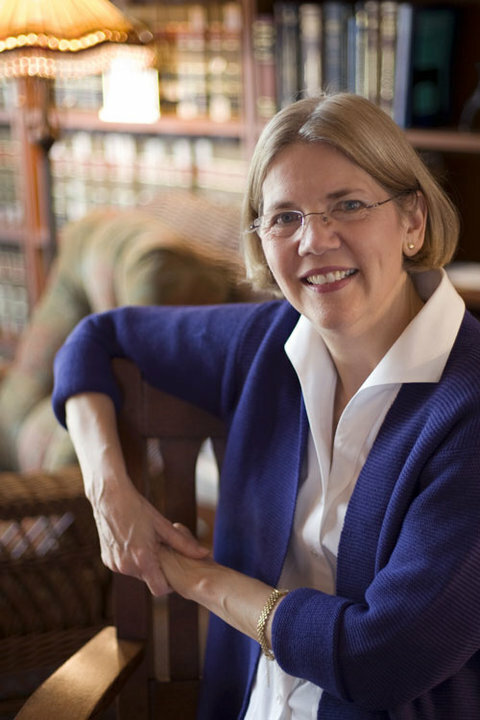 In Massachusetts, Democrat Elizabeth Warren is challenging Republican Sen. Scott Brown. Everybody has different criteria that they use to assess political candidates. Some voters care only about a single issue, some vote for the person, and others vote along party lines; there are innumerable criteria that have been used by citizens to assess politicians but, personally, I consider three factors to be the most important: Ideology, Competence, and Character. Ideology: The most important characteristic of a politician is what they will push for once elected. Rational voters look at candidates’ policy stances and make informed choices based upon how closely a candidate’ policy stances match their own. Elizabeth Warren has been consistent in her views and she can be counted on to advance them in the U.S. Senate. She won’t renege on her promises. Elizabeth Warren is a progressive with a strong history of advocating for the interests of the middle class. She has demanded that the banks be accountable. She has shown the place of high health costs in causing families to declare bankruptcy. Her platform is rests on fair taxation, community reinvestment, and crafting sensible government action to protect the average person from the abuses of corporations that owe their first duty to stockholders, not citizens. The idea that “There is nobody in this country who got rich on his own.” is entirely true, but it’s a novel concept in today’s political world. Many in Washington have forgotten that taxes on the rich and corporations are often used to support health care, education, and infrastructure. By cutting services in order to pay for tax breaks for the wealthy, we endanger our nation’s well-being. Elizabeth Warren hasn’t forgotten the value of investing in our country’s future. She will strongly support progressive taxation to finance investments to rebuild our country. Elizabeth Warren has shown her commitment to protecting the rights of the average person against abusive practices of banks and other financial entities. Today’s economic crash and crisis have taught us that our government must be more vigilant in protecting citizens from the banks’ reckless and fraudulent behavior. Warren was one of the main architects of the federal CFPB (Consumer Financial Protection Bureau) that was formed in order to protect the consumer from abusive practices by banks. As, almost literally, the person who wrote the book on protecting the consumer from financial fraud, her record in this area speaks for itself. Competence: It matters little what a candidate supports if they are unwilling or unable to advocate for their position. Competence is a combination of intelligence, organization, strategic thinking, and skillful advocacy. Elizabeth Warren is knowledgeable, smart, and articulate. She has proven, through her academic achievements and writing, that she more than qualifies for the job of senator. Warren has demonstrated an exceptional grasp over the issues facing our country and has drawn up comprehensive and rational plans to fix several of the problems facing us as a society. As a Harvard University professor, Warren has a great deal of experience making cogent arguments to support her causes and would be a great asset to progressive causes if she is elected to office. Character: A politician’s competence is an empty shell unless it is driven by the honest commitment to work for the citizens who elected them. As politicians are humans, not machines, personality often affects a politician’s ability to perform their jobs. This characteristic is difficult to define as it is a catch-all of numerous personal qualities such as dedication to beliefs, drive, and personal morality. Elizabeth Warren has shown ethical behavior and a desire to help other throughout her career. Growing up in a blue collar family, Warren attended college on a scholarship in order to become a teacher. Even after studying law, she did not pursue a career in corporate law and the fat paycheck that came with it, but instead stayed in teaching and writing in the public interest. Unlike many current political candidates (including her opponent, Scott Brown), Elizabeth Warren has not shown a desire to enrich herself. Teachers don’t teach to become rich but rather to help society through advancing the next generation. This suggests that Warren won’t be swayed by lobbyists or by the lure of “contributions” (Read: legalized bribery). Elizabeth Warren has dedicated her life to teaching others and advancing the public interest. She hasn’t been corrupted by the temptation to make big money, so she isn’t likely to be corrupted by power. She aspires to the Senate to promote the general good, not to buy an easy ride to higher net worth through future lobbying jobs or speaking fees. This strength of character and conviction separates Elizabeth Warren from most other politicians.